This classic A. Jaffe diamond semi mount in 18k white gold, 4.8 grams, features 34 round radiant diamonds, .20 tdw, beautifully streaming up the split band towards the highlighted center diamond. Full of sparkle and wonderfully crafted, this timeless A. Jaffe setting is waiting for you to hand select the perfect center diamond to make this your one-of-a-kind dream ring. Come to Tara Fine Jewelry Company, Atlanta's premier jeweler, for the full line of A. Jaffe designs as well as the most celebrated names in bridal jewelry. Conveniently located in Buford near the Mall of Georgia, the showroom is home to a large selection of diamond engagement rings, colored gemstones and luxury timepieces by Rolex, Omega, Tag Heuer and Breitling. 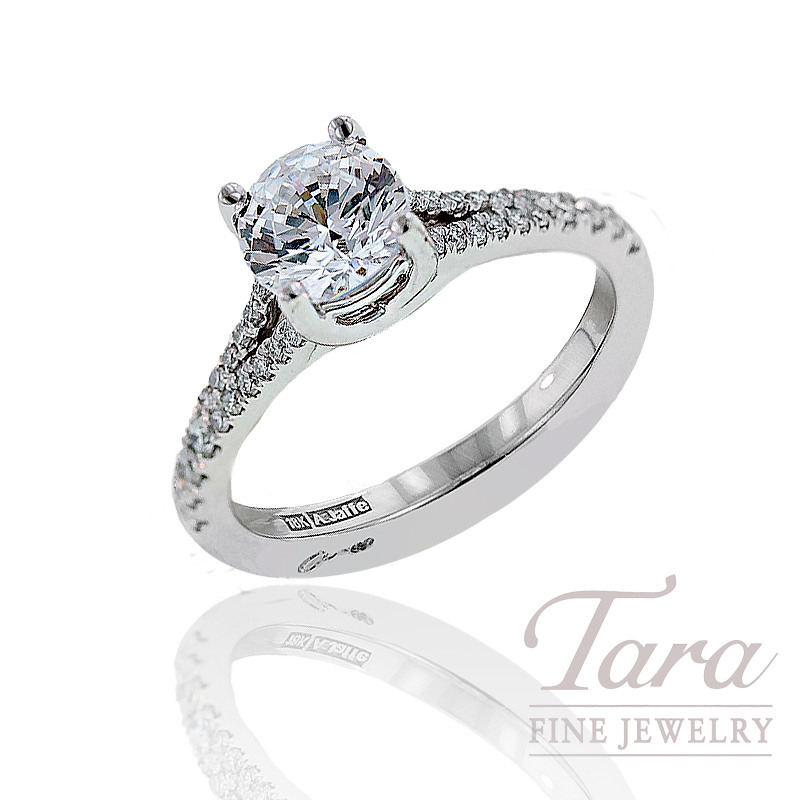 With over 30 years of serving the Atlanta area you can rely on Tara Fine Jewelry Company to deliver the finest service, selection and quality.